Diamond Details: Round brilliant cut white diamonds, F color, VS2 clarity, of excellent cut and brilliance, weighing 15.68 carats total with round cut black diamonds, weighing 3.66 carats total. 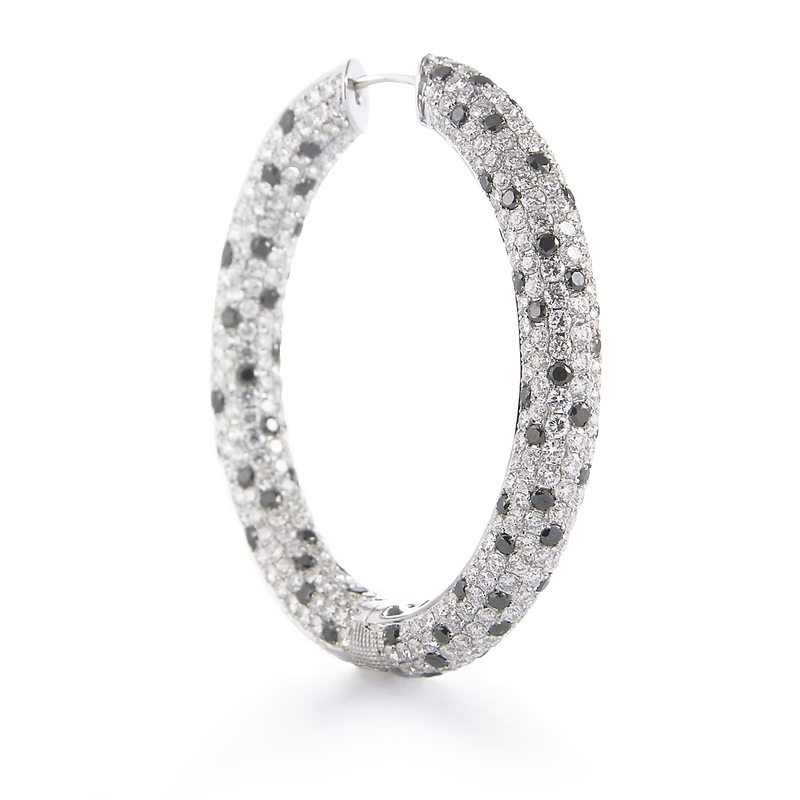 Measurements: 2 inches in length and 6.5mm at the widest point. 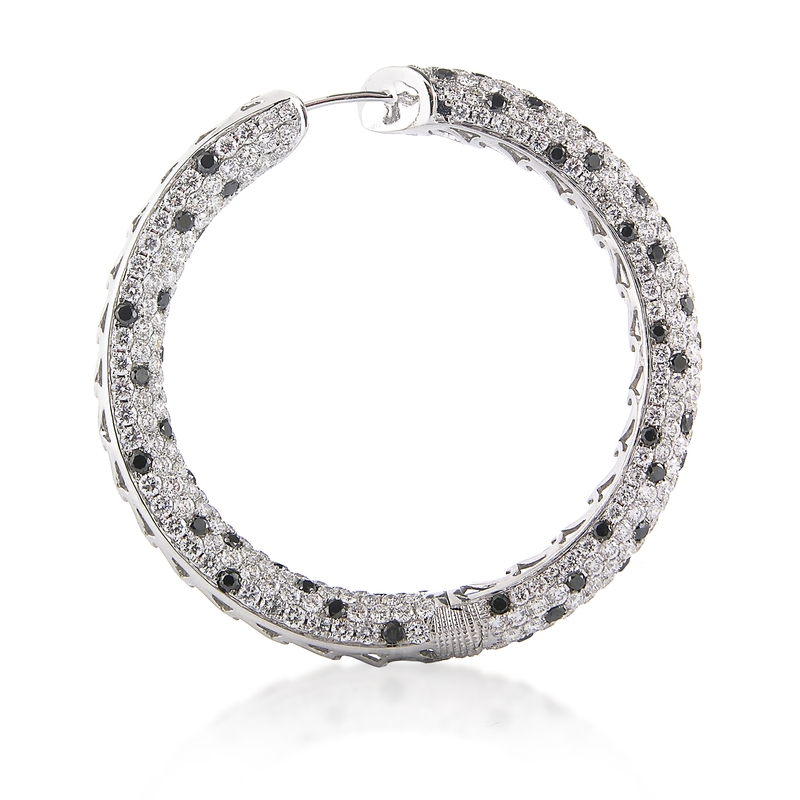 These stylish 18k white gold hoop earrings, feature round brilliant cut white diamonds of F color, VS2 clarity, of excellent cut and brilliance, weighing 15.68 carats total, and beautiful round cut black diamonds, weighing 3.66 carats total. 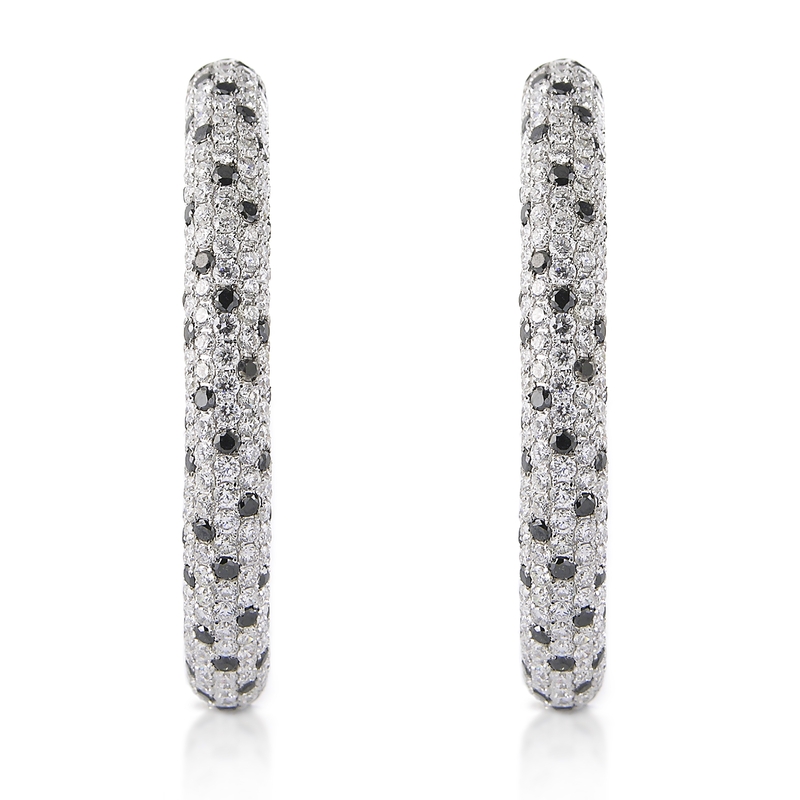 These lovely diamond earrings contain hinged hoop backs. 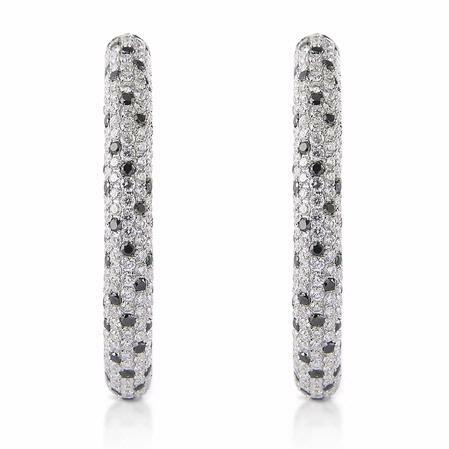 The earrings measure 2 inches in length and 6.5mm at the widest point.